High quality location recording gear. Sound-Devices 788t SD - 12 track portable Multitrack-Recorder with 8 discrete audio inputs, 6 outputs and Ambient timecode generator + Lockit. Comes with Sounddevices CL-9 and CL-8. Sennheiser MKH 8060 - Shotgun Microphone with Rycote windshield-kit, different Ambient boompoles and SKP2000 wireless transmitter. Sennheiser MKH 8040 - Cardiod, Matched Stereo Pair. hushmounts for lav´s and so on. 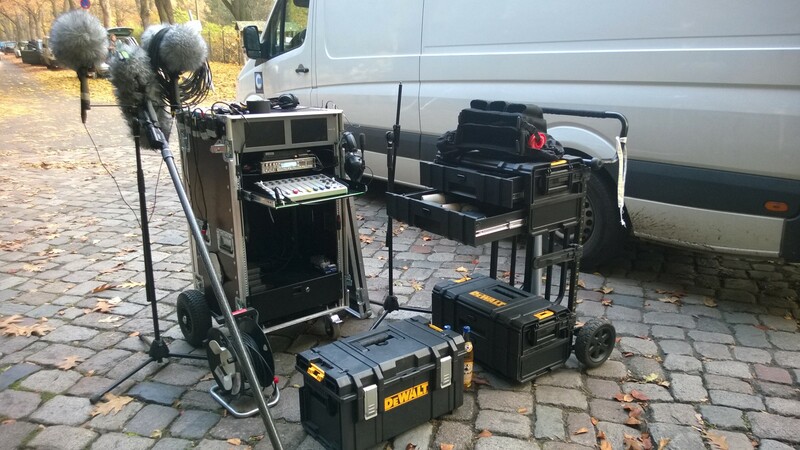 Wireless monitoring - 2x Sennheiser SK100 transmitter, 3x EK 300IEM reciever, 2x Sennheiser HD25 headphones, 1x EK 100 for camera-mount. Click here to download the full list as pdf including rental price list.